While some types of adoption can be expensive, financial programs and resources may be available to help you with these costs. Whether you are interested in adoption tax benefits, adoption assistance programs from your employer, or the adoption subsidy program, we can help you find the information you need. You might want to begin your research with an excellent resource guide from the National Endowment for Financial Education: How to Make Adoption An Affordable Option. You may be able to reduce the cost of your adoption by applying for an adoption tax credit on your federal tax return. For adoptions finalized starting in tax year 2002, the credit is up to $10,000 per adoption. (Prior to 2002, the tax credit was $5,000 per adoption or $6,000 for the adoption of a child with special needs.) 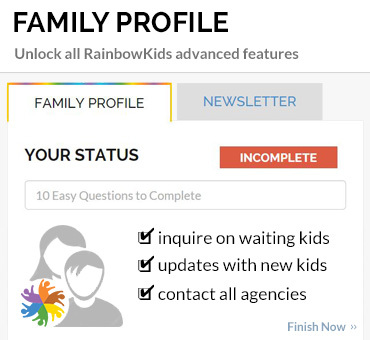 The $10,000 credit also applies to international adoptions after finalization. The tax credit limit is for expenses associated with each adopted child, rather than an annual limit. The tax credit benefits moderate-income families most; it phases out for high-income families. The phase-out starts for families whose adjusted gross income exceeds $150,000. The tax credit is eliminated entirely once adjusted gross income reaches $190,000. The federal adoption tax credit is more beneficial than a simple tax deduction. Under the tax credit, adoption expenses may be deducted from your overall federal tax liability. For example, if your federal tax obligation is $4,000 and you have $3,000 in adoption expenses, your tax liability is reduced to $1,000. Additionally, if your tax bill is smaller than the amount of your expenses, you can carry forward the unused portion of your adoption tax credit for the next several years. Qualified adoption expenses may include adoption fees, attorney fees, travel costs, including necessary transportation, meals, and lodging. If you are receiving reimbursement for the allowed adoption expenses from another source, such as the Adoption Subsidy program, or from an employee benefits program, there are limitations on the use of the tax credit. To learn more about the Federal Adoption Tax Credit, you should consult your tax professional and IRS Publication 968. Perhaps your employer is among the roughly 25% of companies in the United States that offer some form of adoption benefits to their employees. Typical benefits may include reimbursements of adoption expenses; paid leave in addition to vacation time, sick leave, or personal days; and unpaid leave. Reimbursement amounts can run from $1,000 to $10,000. Adoptions Together maintains a list of employers that offer adoption assistance. To find out whether your employer offers adoption benefits, contact the human resources office where you work. Even if your company does not now offer adoption benefits, you may be able to persuade your employer to do so. Studies have shown that adoption benefits are among the most cost-effective advantages an employer can offer. We have an area listing employers offering benefits, and showing you how to make a proposal to your employer. Visit that section here. 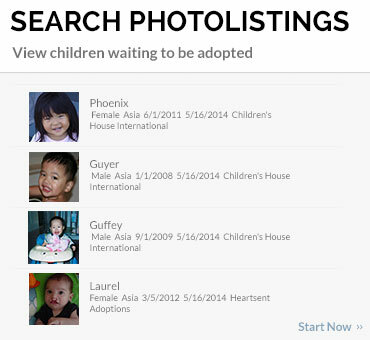 Families adopting internationally typically travel overseas to complete their adoptions. You can use frequent flyer miles to reduce the cost of airfare significantly. Many credit card companies offer frequent flyer miles as incentives. Check with your individual credit card issuers to see if this benefit is available to you. Many families in our international program pay their adoption expenses with their credit card so they can accumulate frequent flyer miles, thereby reducing the cost of their adoption travel expenses. A high percentage of families take out a 2-4 year personal loan to help cover adoption expenses. 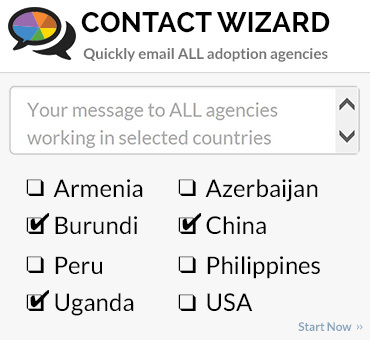 A Child Waits Foundation provides low interest loans for families who do not have any other option than to request a loan in order to proceed with international adoption. You can visit http://www.achildwaits.org/ to learn more. Please visit http://www.funds4families.com/ or call (800) 451-3372 to find out more about home loans such as home equity plans, debt consolidation plans and refinancing plans. Also you can consult your bank or other current mortgage lender and a tax person regarding some tax benefits of the possible loans. Grants ranging from $500 to $4,000 are available to prospective adoptive parents 4 times a year. You can access to the National Adoption Foundation's website at http://www.nafadopt.org/NafGrants.htm or call (203) 791-3811. For unsecured loans, please call (800) 626-2760 and for secured loans (800) 841-1982. Show Hope is dedicated to caring for orphans by engaging the church and helping Christian families reduce the financial burden of adoption. They accomplish this by awarding financial adoption grants to qualified families already in the process of adopting. The size of the grant awarded is determined by several factors, the most important being need. With a commitment in faith by the family, Show Hope will provide up to $7000 toward the cost of adopting, thereby reducing the financial barriers and allowing more families to experience the miracle of adoption. Don't let finances keep you from adopting a child. To receive an application packet contact them via their website or call at 615-550-5600. Serious inquiries only please! The Sheperds Crook Ministries offers financial assistance to Christian families who are led to adopt any of the children listed on their web site. This is accomplished by awarding grants as their funds allow. Please contact them via e-mail if you desire an application for financial aid. World Association of Children & Parents is a well-established adoption agency offering financial assistance in the way of loans & grants to perspective parents that adopt through their organization. 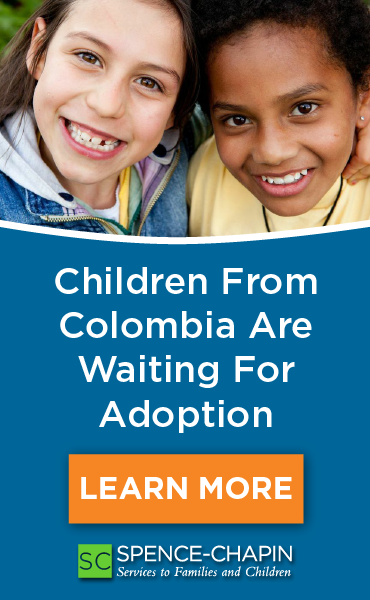 Their Promise Child Program has specific waiting children from all their country programs that have almost all fees waived for their adoptions. These children are selected by the WACAP staff and grant money provided to WACAP pays for almost the entire expense of the child's adoption. Call WACAP and ask for a staff member working under their "Family Finders Project" regarding children available.